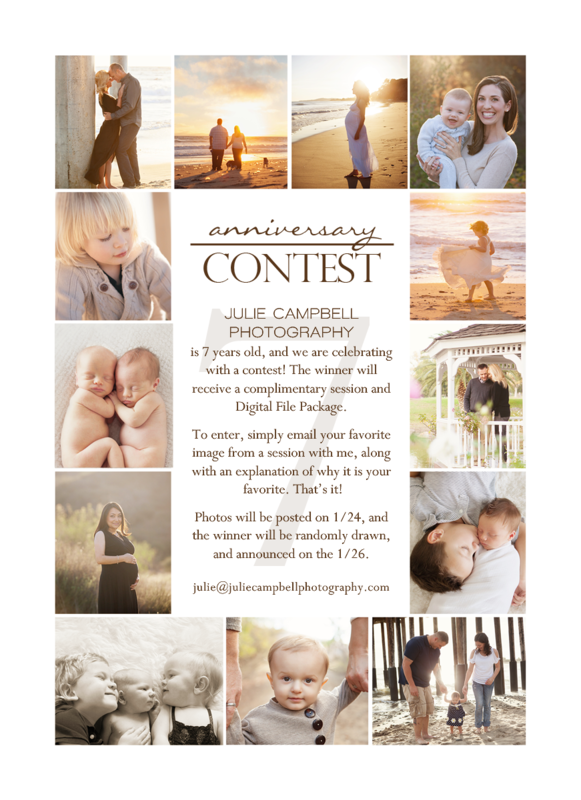 It's been 7 years since Julie Campbell Photography was born. What a wonderful journey it has been for me. Each year my business has grown, and I've been able to do what I love everyday. I feel so blessed. I'm celebrating with a contest for my past clients. Be sure to enter if you haven't already!